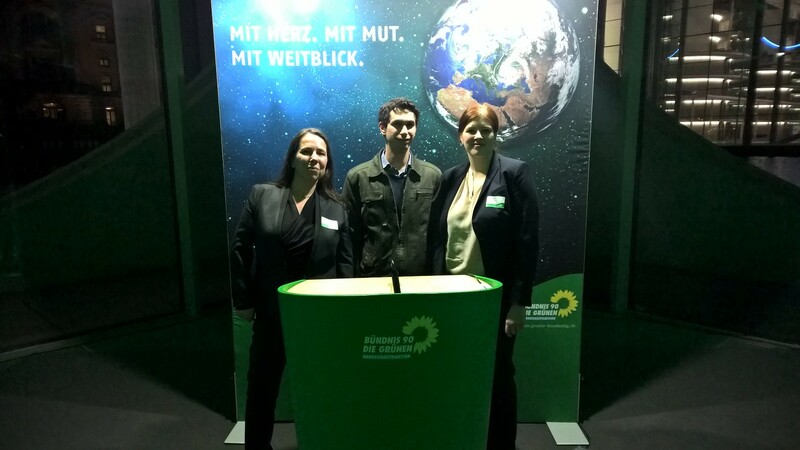 Last Friday, the 29.01.2016, Peggy, Ahmad and Antje made early to introduce in the direction of Berlin to our project at a special event. 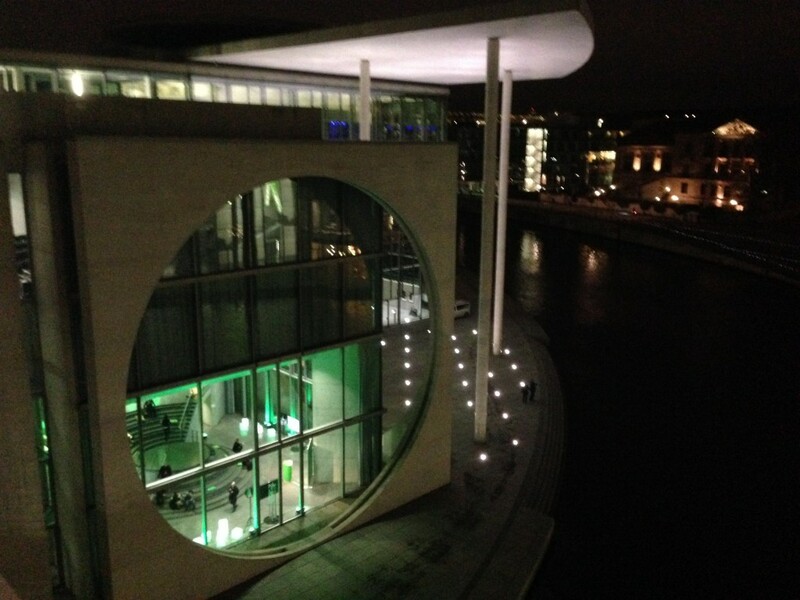 "Bündnis 90 / Die Grünen" have loaded to a Congress about citizenship in the Bundestag. Not publicly advertised event, selected representatives were invited from refugee initiatives from all over Germany to interact with each other about their work and experiences, and to develop ideas for improving the current situation. The initiatives offered a colorful portfolio of the Organization to safeguard political rights there to the improvisation theatre. After a poignant introduction speech by Mrs Katrin Göring-Eckardt, group Chairman of the Bundestag group, we could actively participate in a discussion on civic engagement. At the end, all participants were solemnly interject their previously written claims to the Federal Government with regard to the refugee issue in a large tank, later to be passed in the Bundestag. Then held various workshops on topics such as the self-organization of refugees or the interaction with the local authorities. Thanks to our broad-based representation on the spot we could put ourselves in three thematic areas. After the results of the workshop were presented in large round once again, there was still a very pleasant get-together in which representatives of various initiatives in its entirety could exchange with each other and many helpful contacts. When we arrived shortly before midnight back in Dresden we were all three very exhausted but full of new good ideas which I hope will give new impetus us at the future direction of our app.